Can Cats Eat Yogurt: Plain or Flavored? Can cats eat yogurt? This is a question many cat owners often wonder about. We all know that some cats cannot drink cow milk due to their intolerance to lactose, but does this extend to yogurt? As it turns out, eating yogurt is completely safe for your cat. 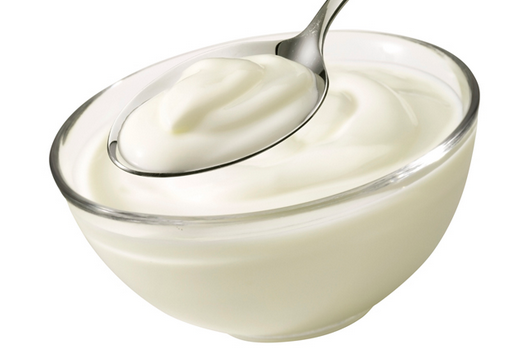 Yogurt contains two kinds of bacteria; Lactobacillus Bulgaricus and Streptococcus Thermophilus. Once the yogurt is eaten, the bacteria present in the yogurt digests the lactose. This removes the burden your cat’s body would otherwise face when trying to break down lactose. According to experts, not only can your cat eat yogurt, it gains numerous advantages from this as well. Potassium, an electrolyte that controls fluid balance in the body. It also controls enzyme activity and strengthens muscles and nerves. Calcium, which strengthens bones and builds muscle. Magnesium helps the cat’s body absorb essential nutrients, such as sodium, potassium, vitamin C, calcium and phosphorus. Yogurt contains living cultures of bacteria that improve your cat’s health. 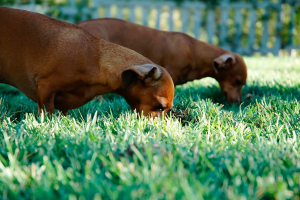 The bacteria facilitate development of flora, a natural bacteria present in your cat’s intestines. This development enhances your cat’s immunity and betters her digestive system. Furthermore, the probiotics in the yogurt help improve the movement of your cat’s bowels. 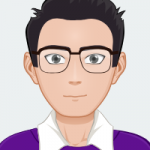 Probiotics have become quite trendy over the years, and the benefits of probiotics have been scientifically proven to enhance one’s life and one’s overall health. This nutrient can be found in certain foods, or taken as a supplemental capsule. Yogurt is the easiest way in which to ingest the probiotic, and offer the cat the benefits of healthy bacteria. 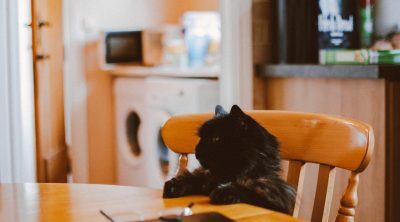 The health of a cat is just as important as the health of the owner, and taking care of one’s health is often as easy as simply caring for one’s stomach. Aligning the bacteria in the stomach of your cat can help your cat liver a longer and fuller life. Yogurt also has numerous other health benefits. 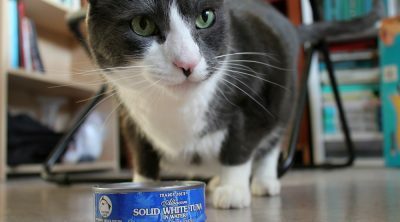 Whether your cat’s stomach is upset or she has digestive problems from swallowing her own hairballs, the active cultures and the bacteria that yogurt contains provide an easy cure. The cultures from the yogurt can help soothe any inflammation in the throat or stomach area of your cat while also offering vitamins and nutrients to heal any possible irregularities. If your cat is ill with diarrhea, feed her a small amount of yogurt, around 5 ml, before giving her its meal. 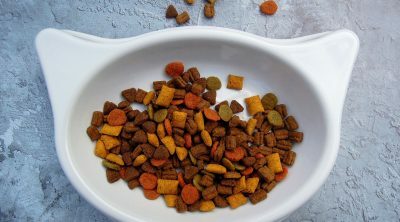 This, according to veterinarians, can treat your cat’s diarrhea. Since yogurt is probiotic in nature it gets rid of symptoms like diarrhea, gas and cramps. The yogurt will also soothe the digestive track and help to relieve any cramping or indigestion. However, keep in mind that yogurt that is flavored does not work. Flavored yogurt is loaded with sugar and may have unnatural ingredients that upset your cat’s stomach further. The living cultures present in plain yogurt keep the amount of flora balanced in your cat’s mouth. The flora prevents gum infections and keeps teeth healthy. Cats may not be known for having many dental issues, but tooth decay and gum disease is very possible in cats and should be avoided. These dental issues may expand to greater health problems in the future. Preventing tooth decay and gum infections is the first step. Plain yogurt given on occasion can help prevent these issues naturally. Certain bacteria are harmful for your cat’s health and will make her sick. Your cat’s vet will recommend antibiotics to destroy these bacteria. Determining which bacteria are helpful or hurtful to your cat is important before offering yogurt to your pet. Simple, plain yogurt should be safe, but be sure to do your research first and speak with your vet to ensure you do not unintentionally cause harm to your cat. However, sometimes the antibiotics recommended to your act by your vet might end up killing the useful bacteria present in your cat’s body as well. The bacteria present in yogurt will restore these useful bacteria. When your cat is sick or on antibiotics, offering 5 ml of yogurt can help aid your cat in healing. Thus, yogurt boosts your cat’s immunity, improves the antibiotics’ effect and helps the cat’s body to combat the disease. Yogurt can be a natural method of healing your cat, even when needing to utilize traditional forms of medicine. While the living cultures contained in yogurt kill unhealthy bacteria, they can also kill the useful bacteria, which is dangerous. However, the bacteria present in yogurt usually replace these useful bacteria so it does not necessarily harm your cat. Simply be mindful of the type of yogurt you are offering your cat and be sure the bacteria is aligned with your health goals. While most cats can eat yogurt without facing any negative reactions, this is not true for all cats. 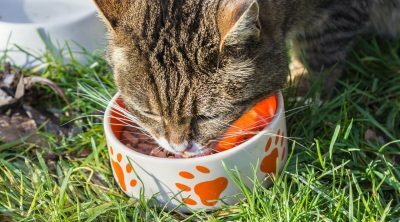 If your cat is normally severely allergic to products containing lactose then it is entirely possible that eating yogurt might also produce a negative reaction. 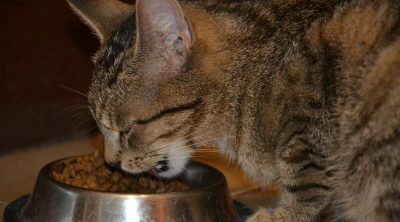 Whether or not to feed your cat yogurt is entirely your decision, however, it is recommended that you consider both the benefits and drawbacks before deciding what to do. If you still wish to test your cat’s reaction to yogurt then make sure to feed her the tiniest amount possible. After all, your cat’s health is most important. According to some sources, large quantities of yogurt need to be consumed for the active bacteria to get the benefits. 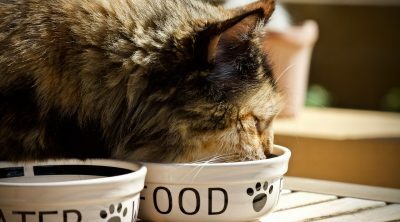 As an alternative, you can feed your cat probiotic supplements that can be purchased at stores and are available online. Check out this cat probiotic at Amazon. It tastes great and can be sprinkled on your cat’s food. However, before you decide to do this, be sure to discuss it with your cat’s vet first. It is important to consult a professional when dealing with matters relating to health. You should discuss whether this is a good decision for your cat’s health and ask about the recommended dosage.